The aim of an eLearning course is to transfer knowledge and help learners solve problems using the skills and knowledge gained. But you need to make sure your e-learning courses are SCORM compliant; else, your development efforts will go vain. SCORM is an acronym for “Sharable Content Object Reference Model”. It is a set of technical standards that support interoperability between eLearning and the software – how the course communicates with its underlying platform. 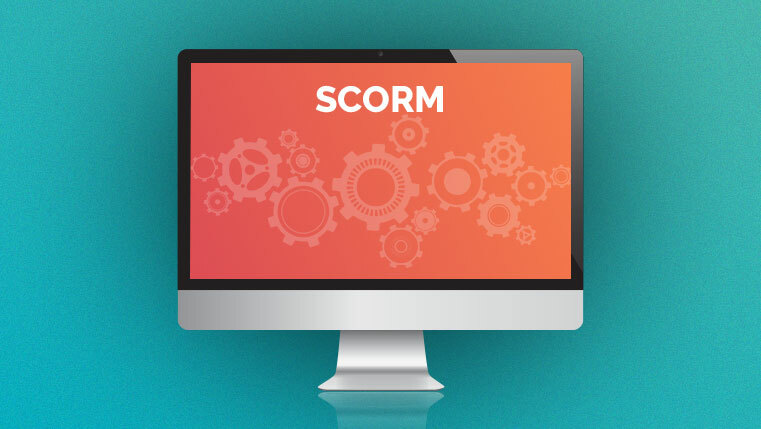 Developing e-learning courses that comply with SCORM is important because SCORM enables the Learning Management System track the status of the course, assessment scores, number of times learners access a course, provide certificates, etc. 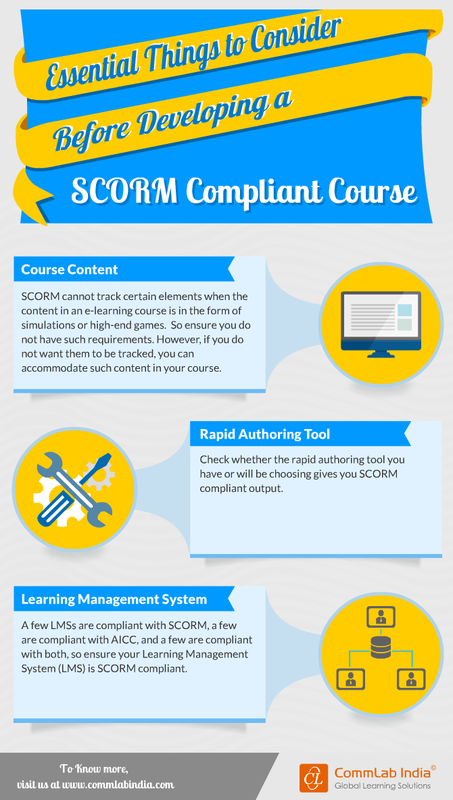 To ensure your e-learning courses are SCORM compliant, you must consider a few things listed in the infographic below. SCORM for E-learning Courses: WHY? Tracking Learning Experiences- How is Tin Can Different from SCORM?